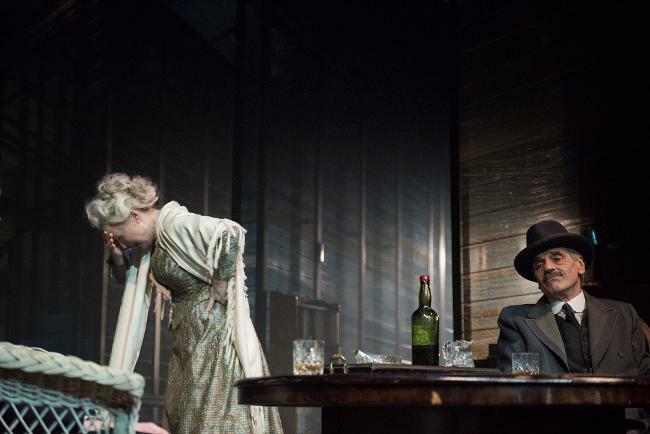 Steeped in their own Shakespeare and Shaw, Wilde and Coward, Osborne and Orton, Pinter and Stoppard, what would the Brits savor in American drama? For much of our history, we were seen as the orphan of legitimate theatre. 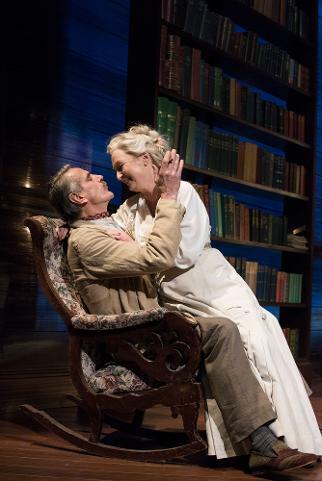 But now two of the leading lights from the “queen’s court,” so to speak, are dropping in for a limited-run showcase of their talents in Beverly Hills as The Wallis presents the Bristol Old Vic and Fiery Angel production of Long Day’s Journey into Night. From Friday, June 8th through Sunday, July 1st, Sir Richard Eyre’s acclaimed production brings Jeremy Irons and Lesley Manville to the Wallis Annenberg Center for the Performing Arts as James and Mary Tyrone, stand-ins for the parents of Eugene O’Neill, alongside Matthew Beard as Edmund (Eugene) and Rory Keenan as Jamie, their two sons, and Jessica Regan as Cathleen. The production arrives hot on the heels of its West End season at Wyndham’s Theatre last winter and Brooklyn Academy of Music’s Harvey Theater in May. The Wallis offers its exclusive West Coast engagement. The prolific Jeremy Irons is one of only a handful of actors to have won an Oscar, a Tony, and an Emmy for his body of work. 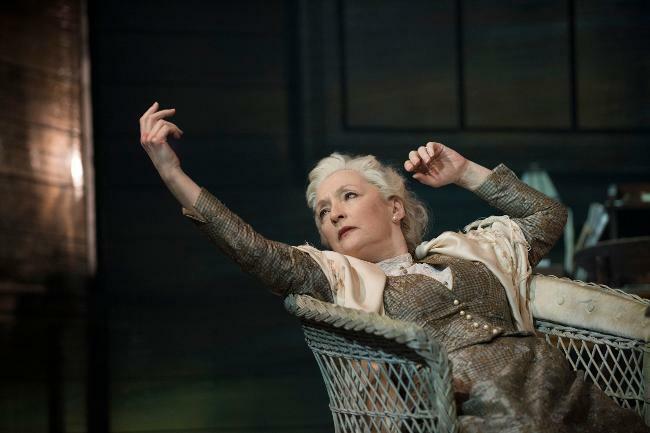 Lauded for her recent role in Phantom Thread, Lesley Manville won the 2014 Olivier Award for Best Actress for her role in the revival of Ghosts (Almeida, 2013) directed by Richard Eyre, who is himself celebrated for his productions, as Director of the National Theatre, of Shakespeare, Ibsen, Hare, Stoppard, and Griffiths, garnering five Olivier Awards and the Lifetime Achievement Award. Here he directs the Bristol Old Vic, the longest continuously running theater in the U.K., which celebrated its 250th anniversary in 2016. The tragedy of man is perhaps the only significant thing about him… any life which merits living lies in the effort to realize some dream, and the higher that dream is, the harder it is to realize…. Any man who has a big enough dream must be a failure and must accept this as one of the conditions of being alive. 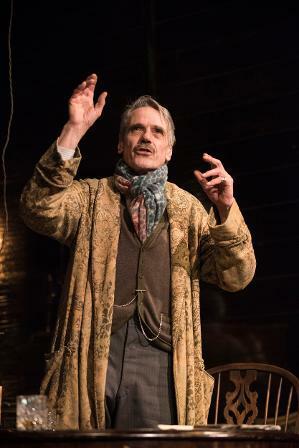 In America’s longest and biggest history of theatre – Broadway – Eugene O’Neill was, in an exceptional sense, a playwright’s playwright, one who wrote not for the existing popular stage but for the one he envisioned, the one he felt this country needed. His determination to treat drama as an art form took him from gritty realism to expressionist allegory to Jungian and Freudian psychosexual quests for identity. His writing, in all its gravitas, never let up for nearly three decades, and then it took more than another decade until Long Day’s Journey into Night was published posthumously. While in his short life he battled tuberculosis, malaria, and finally a disease like Parkinson’s syndrome, he was also a hard-drinking dreamer and wanderer, to Central and South America, even to Jimmy-the-Priest’s saloon in New York. He was our American tragedian, but in essence his tragedies lay within the family. 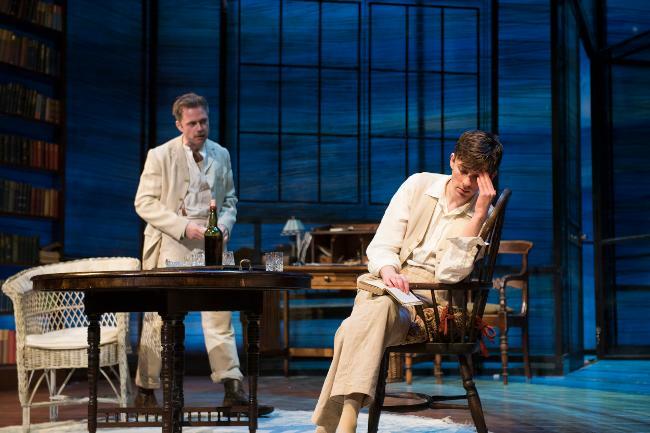 Though Long Day’s Journey into Night is not completely factual as an autobiography, it vividly and honestly portrays the young O’Neill’s contempt for the commercial theatre to which his once Shakespearean actor-father had succumbed. This play, arguably the most famous of O’Neill’s (and some say, of America’s modern drama), is a roaring clash not just of father with sons but also of the era of swashbuckling melodramas with the post-WWI “golden days” of our stage. Eugene O’Neill grew up amidst the whir of theatre applause and the hectic rush to the train depot. His early years were spent commuting from one string of city lights to another. By contrast, in his adolescent days he was kept secluded at private boarding schools and a New England seaside resort. Then, with the exception of a few jobs as a seaman, his young manhood drew him back to New York City. The aspiring poet of the theatre had, after all, been born on Broadway, in a hotel overlooking Times Square. O’Neill’s father was a matinee idol who married his star-struck sweetheart. When James O’Neill and Ella Quinlan became husband and wife, each found a means of escape in the other. Ella was the well-bred daughter of a prosperous retailer who had provided her with a strict convent education and training as a concert pianist. Yet the shy young woman was spellbound by glamour; James, striving to blot out his shanty Irish background, courted her with the magic of the theatre. For the rest of his life, James would be known as the Count of Monte Cristo; in fact, he was playing the role when Eugene O’Neill came into the world. Accompanying her husband on his seemingly endless tours required a stamina and a resiliency Eugene O’Neill’s mother did not possess; yet when she spent her summers at the seashore instead, she was both humiliated by the appearance of her all-too-modest home and haunted by her husband’s “way with the ladies” (highly encouraged by the stage impresarios to build his image). Bent on providing Ella with a finer house but also breaking out of his one-role fame that thwarted his role as an artist, James was taxed, and Ella felt the stress. Her pregnancy with Eugene was not easy, and she welcomed her doctor’s pain reliever, which she continued to use to reduce anxieties that were becoming chronic. Eugene and Jamie were fascinated by the stage and performed in the shadow of their father, but each son soon began to notice the destructive relationship between their father and the theatre. They both envied and resented him in his elusive success and sympathized with their mother. Jamie, perhaps out of habit from performing on the road and out of spite, patronized saloons and brothels, and Eugene mimicked his older brother out of a strong sense of fraternity. Yet mostly, Eugene’s passions turned inward. Eugene O’Neill’s distaste for the mechanical, stock-company drama, his contempt for his father, his reaction to his mother’s retreat through morphine, even his fear of Jamie’s drinking habit – all were internalized, producing in him a powerful sense of guilt spreading through him like a cancer that was difficult for him to understand, much less control. Those same inner conflicts forced him into an impassioned search for the meaning of life, a search that took him more and more into an intellectual’s world of ideas. As a child O’Neill had always found the “exotic Orient” of Omar Khayyam and Rudyard Kipling to be captivating. He was drawn to the sea adventures of Jack London and the throbbing romances of Joseph Conrad, so he first chose the sea as his route to self-discovery. But as a student, he turned to the anguished groping of Dostoevsky, the nihilism of Nietzsche, the mysticism of Byron, and the “poison-spitting” dramas of Strindberg. The Americans who impressed him were Thorstein Veblen, Henry Adams, and William James. Soon enough the pen became O’Neill’s most successful vehicle, and the drama, his mode of self-expression. A career in the theatre gave him an outlet for his guilt and despair. He left his first two wives. He exiled his children. He walked away from every home he had because he found fault with all of them… he found the tragic view of life consoling and congenial; and, unconsciously, no doubt, he set about the mission of making his own life tragic. He was his own best theme…. 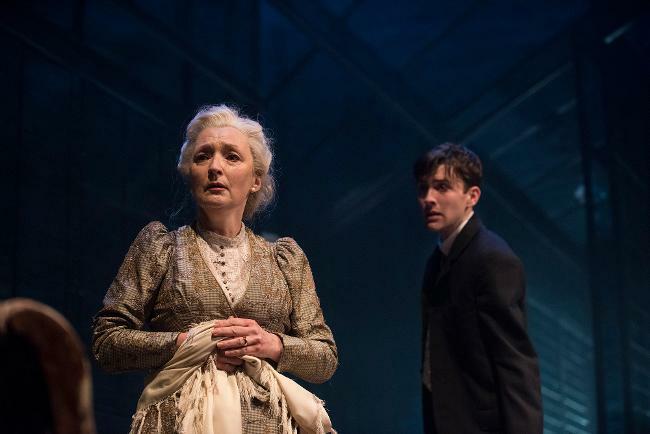 Playwright: Eugene O’Neill; Director: Richard Eyre; Producers: Bristol Old Vic and Fiery Angel; Set and Costume Design: Rob Howell; Lighting Design: Peter Mumford; Sound Design: John Leonard. Cast: Jeremy Irons, Lesley Manville, Matthew Beard, Rory Keenan, Jessica Regan. Wallis Annenberg Center for the Performing Arts, Bram Goldsmith Theater, 9390 N. Santa Monica Blvd., Beverly Hills, CA 90210.